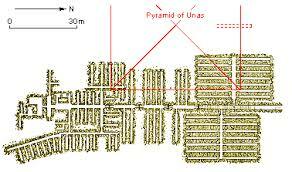 According to new measurements, there likely is a large hidden chamber in the Great Pyramid (Paper). There is already speculation about its contents, with people looking at religious sources the chamber may be based on. What bothers me about this is that I was under the impression that the interior decoration was done without suspending the rest of the building work, using using oil lamps as evidenced by soot. 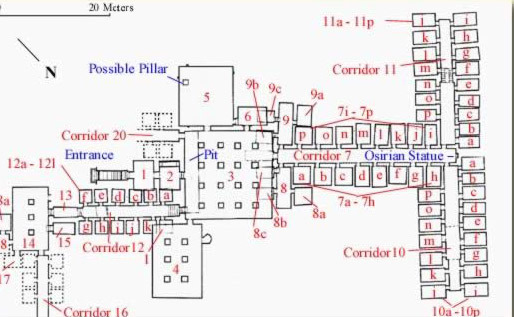 To achieve this, they would need access tunnels which connect all the chambers. The newly discovered chamber would either need to have some other way of access or couldn't be decorated, making a religious purpose unlikely which leads me to think it might simply be stress relief for the chambers beneath it. Are there any known chambers that are completely sealed off and do not have any external access? In antiquity, the entrances to all pyramids were concealed. Theoretically there can be discovered rooms and concealed rooms, theoretical rooms and controversially unconfirmed known unknown rooms, passageways and rooms that ascribe to different levels of ingenuity for concealment of precious artefacts, to avoid tomb robbers, built into illusions, upwards climbways, fake lime, false vistas, and tough barriers that don't sound hollow when they are rapped upon. The passages and rooms must be photographed to ascertain their status as a passage or room and it's furnishings, rooms that vary to many different levels. So archeologists want to drill the hidden voids quite often, if it is the only method of confirmation for their detective work. To grant a drilling into their building, the host country often asks scientists for at least 2-3 studies, and has it's own debate about their 3200 year old buildings when the tourism isn't their main concern. There is probably a book about Egyptian archeology which has a chapter about deceptive nature of the hidden rooms. Not the answer you're looking for? Browse other questions tagged ancient-egypt archaeology pyramids or ask your own question.